Many people, of different ages, argue about the topic “should teens have access to social media”. For most social media apps, it says that one has to be at least 13 years old to have an account. However, most people ignore the age requirement. There are many kids, younger than 13, that have social media. One might wonder how they do this. Basically, they lie when signing up for an account. They put a fake age and sometimes they put a fake birthday. The two sides of this argument are, kids should have social media and kids shouldn’t have social media. The point of the side that says that kids should have social media is that social media is fun and should be available to everyone. It is a way to communicate and see what’s happening in the world. They also argue that there is always an option to have a private account. However, everyone knows that once something is on the internet, it is no longer private. The point of the side that says that kids shouldn’t have social media is that social media is one of the causes of problems such as bullying. For example, one could post a picture on Instagram and get hateful comments saying that they are ugly, stupid, etc. Even though internet safety is a well-known topic, bullying is inevitable when it comes to social media. This is because social media is always seen by the public and one can receive comments from people that they know or don’t know. Something as small as a comment can hurt someone’s feelings in a huge way. My opinion on this topic is kind of a mix between the two sides. 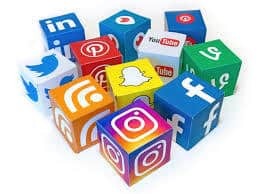 I do think that kids that are really young should not have social media, but I also believe that kids ages 10-12 should be able to have social media; only if they have the consent of their parents, and if their parents have access to their social media accounts so they know what their child is doing. I know people (that are younger than 13) that have many social media accounts (Instagram, Twitter, Snapchat, etc.). The only social media account I have is Snapchat. However, I have the consent of my parents and they know that I know how to be safe on the internet. Social Media VS Young Teens by Anwesha is licensed under a Creative Commons Attribution-ShareAlike 4.0 International License. Greatest City in the World!What do I care about? I agree with you because social media can be very unsafe for kids. They can get bullied many different ways and the parents might not even know. However you are also correct about the fact that social media can be fun and a nice interactive platform. I also agree with your opinion that really young children should not have social media. Kids 10-12 can though. Overall I really liked your post and agree with it mostly. You should add some more examples of harmful effects of social media.